Medical professionals are not completely sure what causes the psoriasis to flare up during stressful times; they suspect it may have something to do with the immune system. People commonly attribute flu-like symptoms and colds to stress, so this theory may not be far off. Either way, outbreaks are a cyclical nuisance. Stress causes a breakout, and the breakout causes self-consciousness and more subsequent stress. Stress and psoriasis can affect each other in a number of ways. Psoriasis can cause stress as people are confronted with a life of chronic flare-ups. Sometimes pain is associated with the disease, making the situation all that much worse. Pain makes everyday activities much more difficult and only increases stress levels. 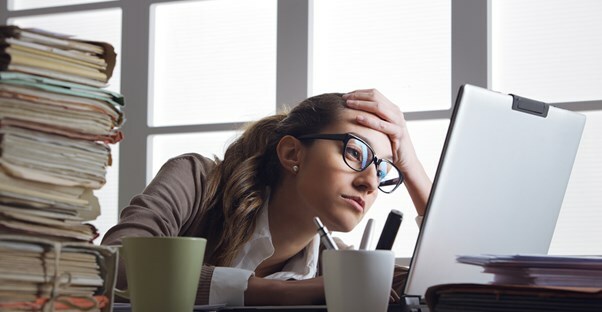 Treatments such as light therapy can also contribute to high stress; therapy is sometimes required as often as three times per week, and anyone with limited time or finances will likely be stressed about that. Reducing stress can also reduce psoriasis breakouts. The good news is that there are ways to ease your stress and any accompanying flare-ups. The best way to eliminate stress is to explore relaxation methods. If your normal relaxation techniques don't work, try something new. Meditation can be a great stress reducer. The deep breathing and inward thinking associated with meditation help to make you forget about the hectic world around you. Yoga and tai chi also have these same benefits. Regular massages may also be beneficial. A good massage can ease any tension you may carry around in your muscles. If you are having a hard time dealing with psoriasis-related stress, talk to your doctor. Knowing that you have a solid plan for treatment may be relaxing, and even if this isn't the case, your doctor can teach you other methods of dealing with stress. You are not alone in this struggle, and you should never feel that way. Partner with your doctor to talk about ways of conquering the vicious cycle of stress and psoriasis.